Which you can order from the book website or Amazon. Watch this two-minute video for a quick overview of what’s in the book and why it is so important: https://youtu.be/mjEQzw473aM. Are you frustrated by unfocused, boring meetings? Is your organization stuck in an unproductive meeting trap? Do you and your staff waste precious hours at work sitting in meetings that don’t matter? It is common to feel that corporate meetings are a waste of time. Time that could be better spent getting “real work” done. This book is dedicated to the proposition that meetings can be meaningful, productive, and even fun - all at the same time. We need to bring business meetings into the digital age in the same way that we have reinvented business planning and written communication. In a technology-rich-world filled with people working flexibly, remotely, and across multiple time zones, the way we lead meetings is out of alignment with 21st-century organizational reality. What’s going on? The way we live and work has changed so dramatically in the last twenty years that our basic leadership beliefs and practices are no longer appropriate. We have information and tools at our disposal that were unheard of, and even unimaginable, just a few decades ago. But the way we are trying manage is still mired in nineteenth-century assumptions about people, technology, economic value, and social well-being. The dominant “Command and Control” mind-set of most executives is out of sync with the world as it now operates. This book is dedicated to the proposition that no one individually is smarter than all of us together. In the digital age collaboration beats control; power – and impact – comes from being connected, and from orchestrating collaboration. 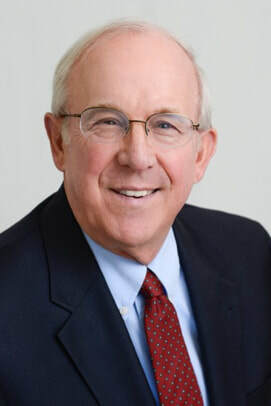 James Ware, PhD, is a former Harvard Business School professor who has focused his entire career on understanding what organizations must do to thrive in a rapidly changing world. Today, Jim works with organizational leaders to turn those dull, boring meetings into highly engaging conversations. A passionate meeting design strategist, he has distilled decades of personal learning into an essential set of “new rules” for designing and leading meetings that matter.